Note: For this article please assume a running total and cumulative sum are the same thing. A sample workspace can be downloaded from this article or follow the steps below. 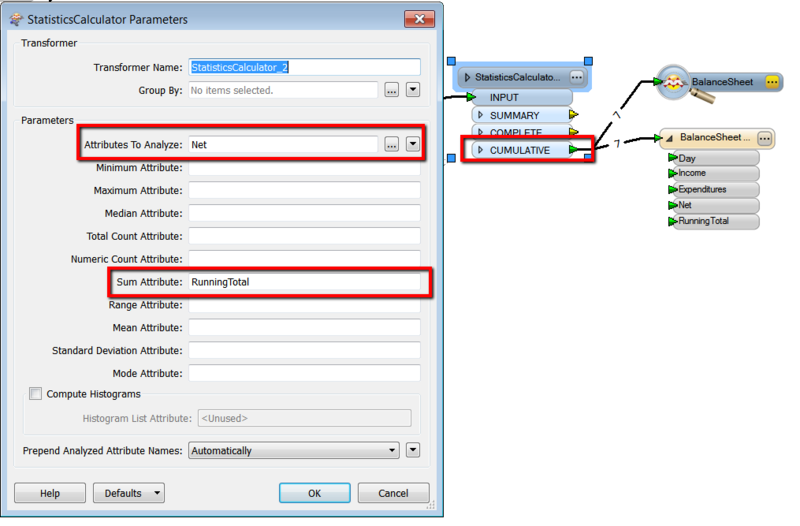 In the StatisticsCalculator properties select your attribute as the Attribute to Analyze. Note: The running total will be calculated on the features in the order they enter the transformer. If your features are not ordered correctly use the Sorter transformer to order them first.